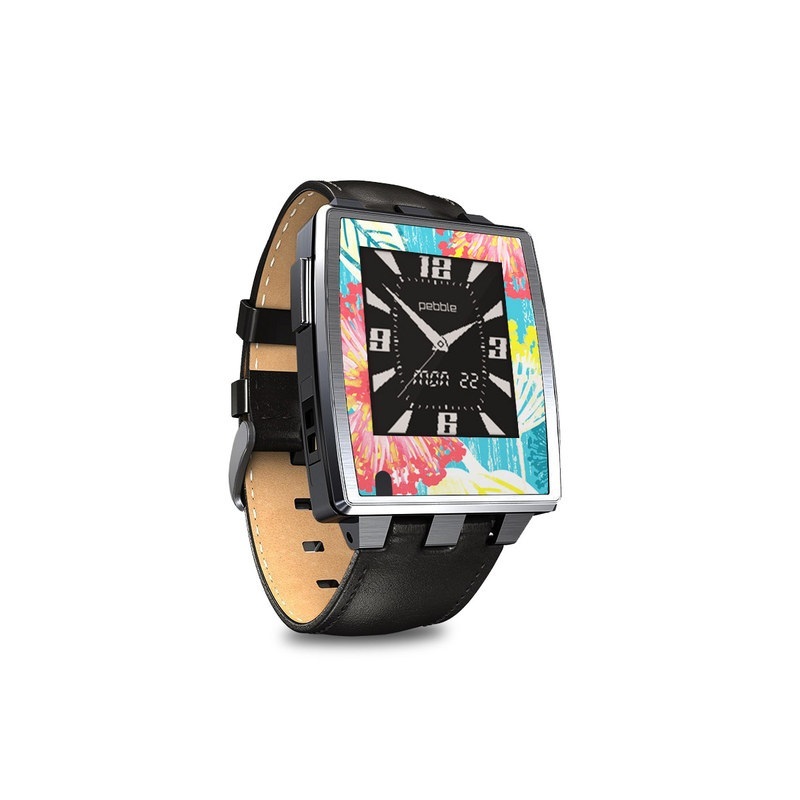 Remember, we offer over 1000 pieces of art as skins for your Pebble Steel Smartwatch. The cut was perfect for such a small item! It starts out very subtle to onlookers but once their eye gravitates towards it, the design has people asking "where did you get that??" It adds further uniqueness to an already unique item. Deducted 1 star for two reasons. First the color is not very "blue"...it's more of a midnight blue, almost dark purple. Second, the price, while fair at a 25% discount, is a bit pricey at full cost for such a small piece. I think this would do better in the 6.99 price point category (like the cell phone kits).